Winter, why won't you end? We had a brief reprieve with a sunny, 50 degree day this past Saturday, but now we're back to gusty winds, frosty air, and the promise of more snow. Oh well - spring veggies and grilling time will come soon enough. In the meantime, I have more hearty, cold-weather recipes to share. A few months ago, I was browsing Instagram. Laura of Mangia Paleo had posted a picture of homemade pumpkin bolognese over spaghetti squash, and I started drooling. However, I looked up the recipe, and one of the ingredients was a jar of marinara sauce. Brilliant idea, adding tomatoes and seasoning all at once, but with a tomato-allergic husband, this recipe was a no-go. But, I just couldn't get the idea of a meaty pumpkin sauce out of my head. I set out to find another pumpkin bolognese recipe that didn't rely on added tomatoes, and failed. Tomatoes have a unique characteristic that blends together so well with other ingredients, so I didn't want to just leave them out of a recipe without a substitute in place. Suddenly, it came to me - instead of ground beef, why not use sausage meat instead? 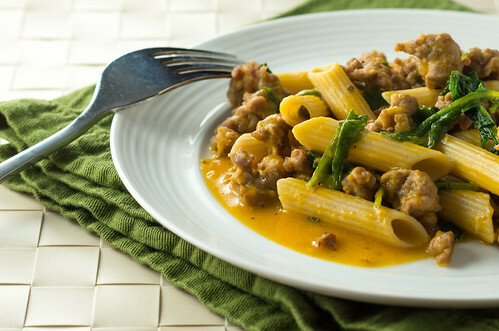 Letting sausage simmer with other ingredients is a really easy way to infuse great flavor into a sauce. Turns out I was onto something! 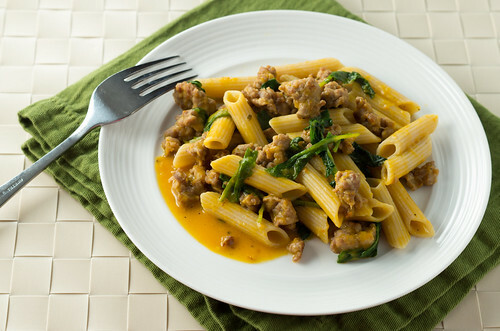 There are many recipes for pumpkin sausage sauce out there. But most of them called for the addition of heavy cream at the end to add richness. I liked the idea of a creamy sauce, but since we try to limit our dairy intake, I discovered that full-fat coconut milk could play that part quite easily. The mild coconut flavor melded harmoniously with the subtle pumpkin sweetness. The flavor profile of the finished sauce will heavily depend on the sausage you choose to use. I typically use sweet Italian sausage, but hot Italian sausage, chorizo, or even a good breakfast sausage would be a delicious change. If you can find bulk (uncased) sausage meat, that will make your life easier - otherwise, you'll have to pull the casings off the sausage. Be sure to use the best quality sausage you find! The recipe wouldn't work quite as well with pre-cooked sausage since you finish cooking the sausage (and infusing the seasoning) in the sauce. 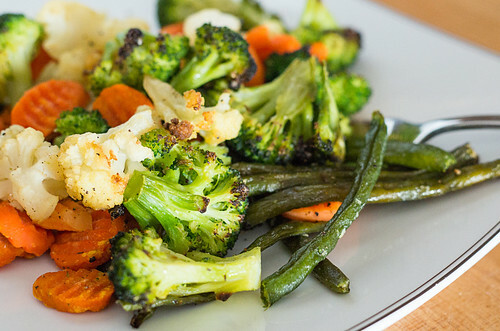 Like many of my recent recipes, this sauce is easily adapted to many different ways of eating. Paleo? It's fabulous served over spaghetti squash (which adds its own sweetness and a welcome crunch). Gluten-free? Either spaghetti squash or gluten-free pasta (which, quite frankly, is more photogenic, so that's how I made it for the pictures). Vegetarian/vegan? Well... I hear that Soyrizo is pretty tasty (I've never tried it), so you could try that in place of the sausage. If you do, let me know how it comes out! If you're making spaghetti squash, get it prepped and start cooking it using your favorite method. If you're making pasta, start boiling water for the pasta. Combine pumpkin puree, chicken broth, sage, nutmeg, a pinch of kosher salt, and a grind of black pepper in a decent-sized saucepan (it will eventually hold all of the ingredients). Bring to a simmer over medium heat, stirring occasionally to combine as it heats up. While the pumpkin mixture is heating, in a nonstick skillet, heat a splash of olive oil and add some minced garlic. Cook for a couple of minutes, till garlic is fragrant but not too brown. Add sausage meat to skillet and break up with spatula, and cook just until no pink remains (but not really brown and crispy). Using a slotted spoon, add the sausage and garlic to the saucepan with the pumpkin mixture. Bring back to a simmer and let it simmer for 10-15 minutes. If you're making spaghetti squash, scrape out your spaghetti squash strands and set aside. If you're making pasta, cook your pasta according to the package instructions. Drain and set aside. Add the greens to the sauce, a handful at a time, stirring each handful in until it wilts. Let it simmer for another minute or 2. Add coconut milk and stir to combine. Taste sauce and add any additional salt and pepper if needed. Toss with spaghetti squash or pasta. Top with grated parmesan or romano cheese, if desired. 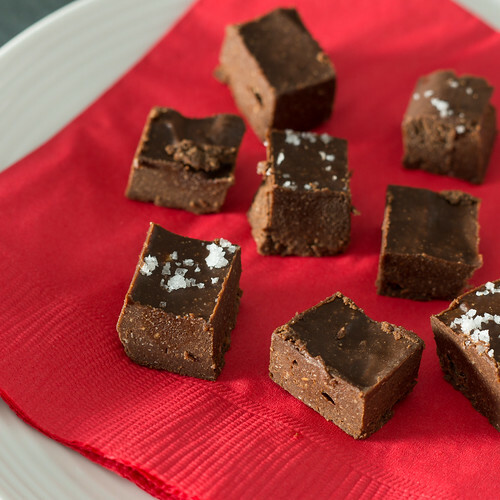 While looking for easy recipes for gluten- and dairy-free sweet treats a few weeks ago, I came across something that sounded too good to be true: creamy, rich vegan fudge made with only 5 ingredients (6 if you count the fleur de sel sprinkled on top). I had all of the ingredients on hand though, so I gave it a try. Guess what? It was every bit as good as the original recipe promised! "Real" fudge has a slight sugar-graininess that I don't love, but this "fauxdge" had a smooth, almost truffle-like texture. I also really liked that it isn't super-sweet, but it's very chocolate-y. It came together quickly in my trusty food processor - the only hard part was waiting for it to set up in the fridge. I've got some plans for experimenting with some other flavor combinations - if I come up with something brilliant, I'll write about it! For now, though, you should give the original recipe a try, because you can't really go wrong with chocolate, coconut and hazelnut (well, unless you're allergic, in which case, I'm sorry!). Hello, fellow lazy foodies! After an extended spell of putting the slacker in Slacker Gourmet, I'm back! Don't worry, I hadn't forgotten about this humble little corner of the food blogosphere. What have I been up to? Well, here's the thing. A few months ago, my husband was diagnosed with a whole slew of food intolerances, including gluten, wheat, rye, yeast and casein. The doctor put him on a strict elimination diet to avoid all of the trigger foods, which ended up lasting 3 months (right through the holiday season - yikes!). So I was cooking, all right, but much of it was far from Slacker Gourmet - there was a lot of experimentation and substitution. For the most part, I stuck with recipes that other, far smarter, bloggers and chefs had developed. The hubby is off the elimination diet now, but has discovered that he does indeed feel better when he avoids dairy and gluten most of the time. 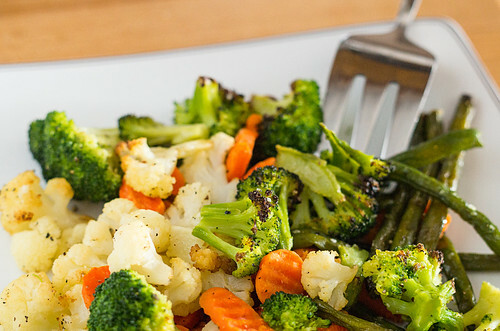 Since this is now a part of our everyday lives, I've started to adapt and streamline recipes to fit into our busy schedules, and I'm looking forward to sharing them! I've also restarted Project 365, so I'm taking more and more photos (and learning how to take proper food photos). Now that I keep my camera close to me at all times, it's much easier for me to remember to grab a few photos of something I've made so I can write about it! I'm hoping to settle into a weekly update schedule eventually. Anyway... enough about me! 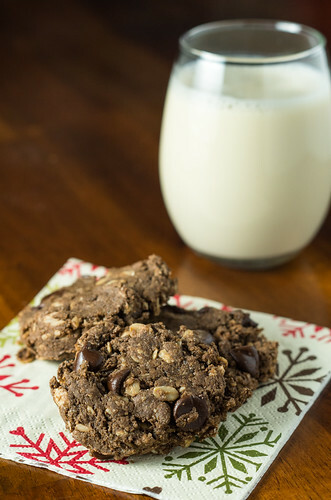 Let's talk about cookies, shall we? I'm not much of a baker to begin with, but add in the constraint of staying gluten-free and dairy-free, and I'm ready to just break out the box mixes and be done with it. However, there were some recipes that the hubby really loved that I wanted to try to adapt. In general, the less reliant a baked good was on flour, the better chance I had of adapting it successfully. One of the recipes that worked really well was this recipe for Healthy Peanut Butter Chunk Oatmeal Bars. It was already dairy-free, so I only had to use gluten-free oats and swap in a gluten-free AP flour blend (I've been using Namaste), and it worked beautifully. There are a couple of drawbacks, though. When I make bars, brownies, etc., I really love using my Chicago Metallic Slice Solutions Brownie Pan - it's got the convenient sling to lift the bars out, and the cutting grid gives me beautiful bars every time (if I try to cut them myself, I inevitably end up with a crumbly mess). But the darn thing is a pain to grease (even though it's nonstick, i don't trust it that much), and even more of a pain to wash. The bars themselves are also pretty serious. They're thick and filling, which is great sometimes, but not always what you're looking for. I've taken to cutting them in half from the original bar size, but... see above about the crumbly mess. Yeah. I got to thinking - can I adapt these into cookies instead? 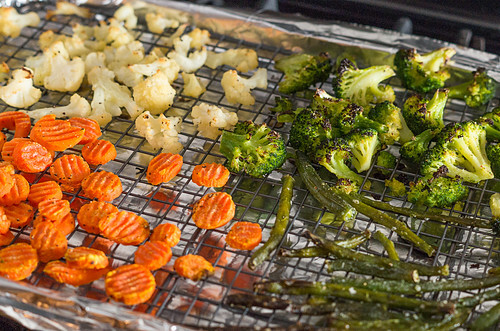 Parchment-lined cookie sheets don't need to be washed (usually). If I could make cookies... then all of my equipment could go into the dishwasher. Plus, I could make them a little more manageably sized. 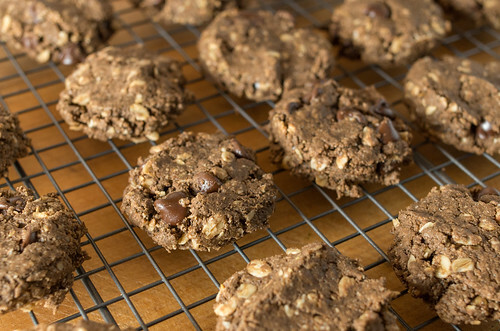 For cookies, though, I was afraid that the amount of flour in the bars would make for a crumbly, dry cookie, so I swapped out 1/4 of it for raw cacao powder. The results? A resounding success, I'd say! 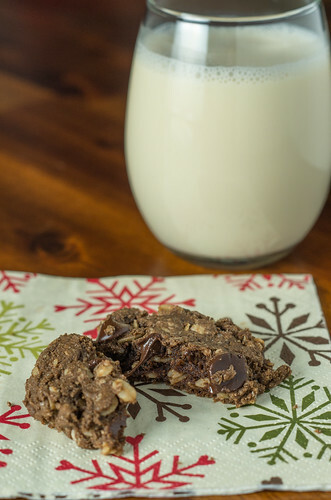 These cookies come together quickly with a stand mixer - you can have these mixed, baked, and cooled in well under an hour. They're also perfect for nearly any food restriction (well, except for a peanut or chocolate allergy) - no one would be able to tell that they are gluten-free or vegan unless you tell 'em. Plus, you can go ahead and eat the uncooked dough - no raw eggs to worry about! Preheat oven to 350°F. Line a couple of sheet pans with parchment paper. Add peanut butter and brown sugar to the bowl of your stand mixer, and beat on medium speed until light and fluffy (2-3 minutes). Add vanilla extract and beat until mixed in. Stop the mixer. Add the flour and cacao powder, and mix on a low speed until just combined. Stop the mixer again, add oats, baking soda, and salt and mix again on low speed until just combined. Stopping and starting the mixer keeps you from throwing the dry goods all over the kitchen - don't ask me how I know that. The dough will look very dry and crumbly now - that's okay! With the mixer running at a low to medium speed, add the milk in a thin stream. By the time you finish adding the milk, the dough should come together and pull away from the sides of the bowl. Stop the mixer, remove the bowl and mix in the chocolate chips with a spoon. Using a cookie scoop (I used my OXO Good Grips Medium Cookie Scoop) or 2 spoons, drop rounded tablespoonfuls of dough a couple inches apart on the prepared sheet pans. Smush 'em down a little bit - they won't spread much in the oven. Bake for 10 - 12 minutes (13 minutes in my oven, but I tend to always need another minute past the upper bound of recipe times) - the tops of the cookies should look slightly dry and may be starting to just barely crack in places. Remove from the oven and let cool on the pans for 5 minutes, then transfer the cookies to a cooling rack to finish cooling. Try not to eat all of them in one sitting. Let's discuss the elephant in the room - peanut butter. I hate measuring peanut butter. Even with a handy little plunger-style measuring cup (like this one from OXO), it's still a sticky mess. I've found a couple of ways to lessen the pain, though. If you have a kitchen scale, a cup of peanut butter is 9 oz by weight, so you can just put your stand mixer bowl on the scale, zero it out, then scoop 9 oz right into the bowl. In fact, go right ahead and add 3 5/8 oz of brown sugar in there too - now you don't have to pack it into a measuring cup! My other sneaky peanut butter measuring trick? Well, most jars of peanut butter are 16 oz, which is not quite 2 cups. But Whole Foods sells their peanut butter in 18 oz jars, which is exactly 2 cups. If you want to be really efficient, go ahead and make a double batch of cookies (though I will warn you that you will be pretty much at max capacity in the classic 4.5 qt KitchenAid mixer).